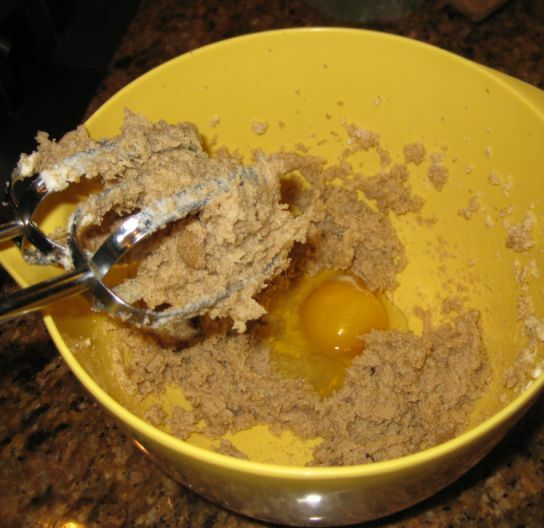 I did not use the original Toll House recipe but instead I found this recipe in my baking cookbook. 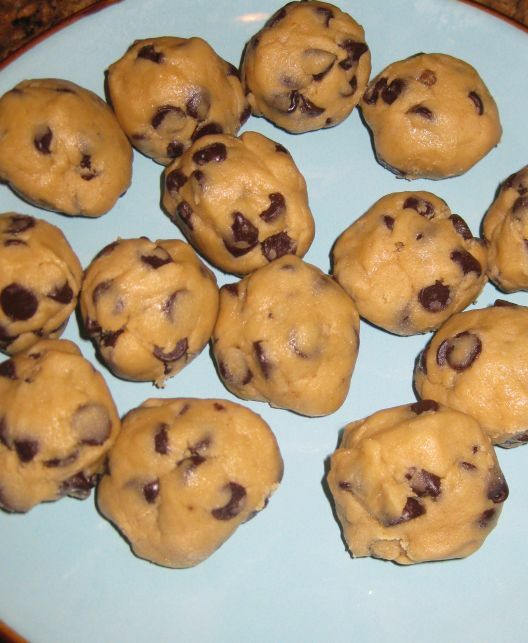 What I like about this recipe is that the cookies dough hold it shape and does not run and sometimes people end up with a really thin cookie. 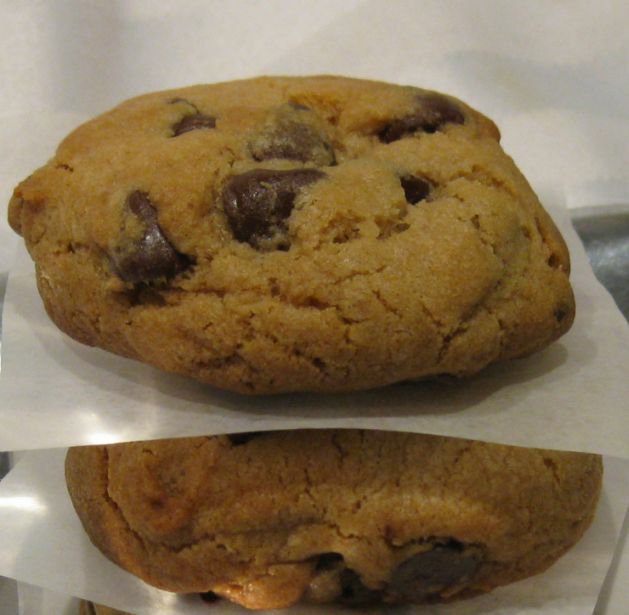 In this recipe notice how thick the cookies came out. 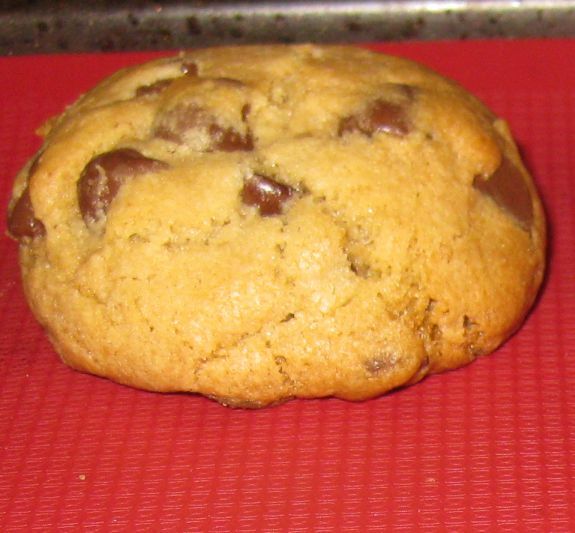 These cookies are so delicious when they are freshly out of the oven. 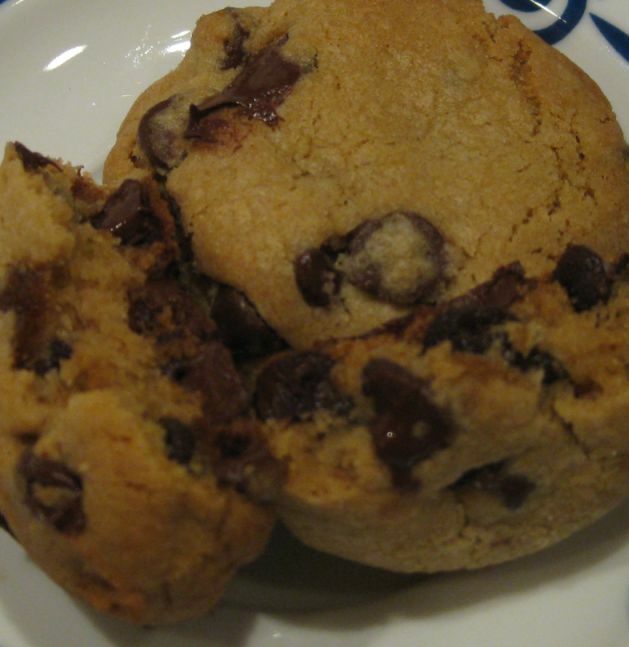 The cookies are still hot and the chocolate chips are still oozing and melting in your mouth. 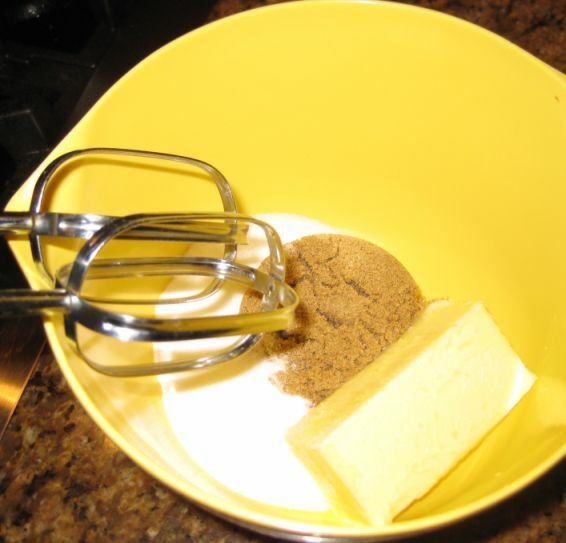 Mixing all the ingredients in a bowl.. 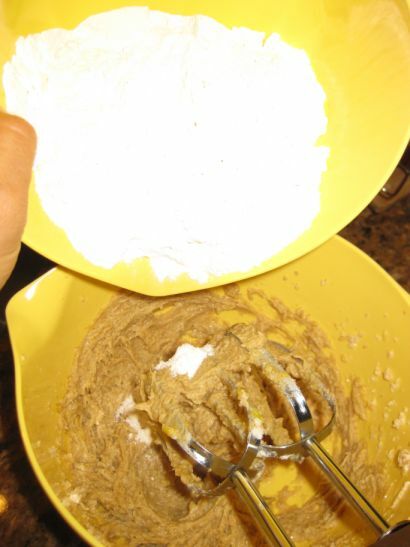 In a separate bowl mix the flour, baking soda, and salt and then slowly add it to the dough. 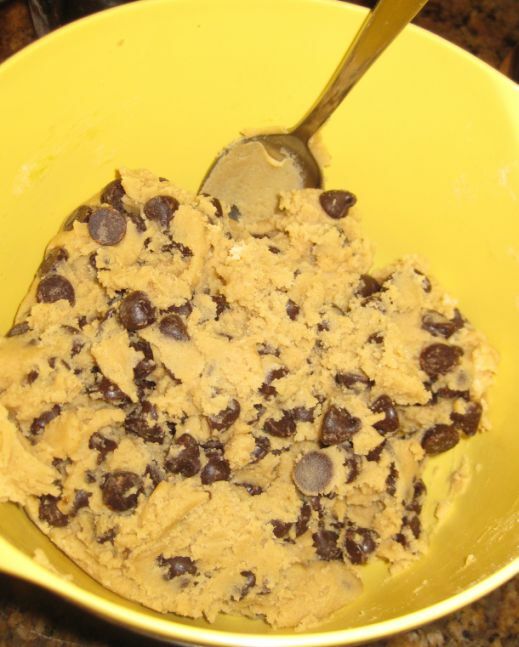 Adding the chocolate chips into the dough. 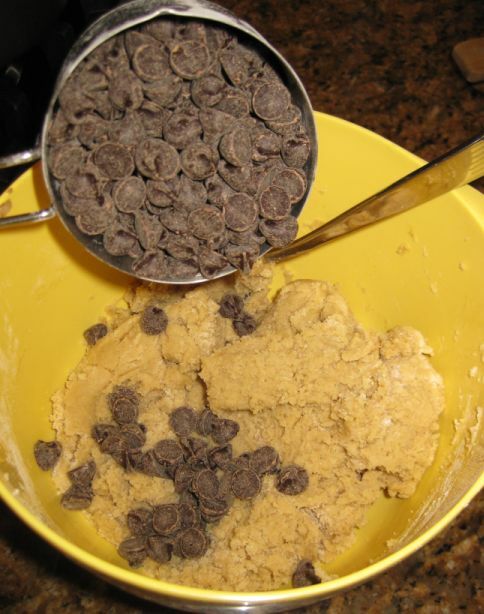 Mixing the chocolate chips into the dough. 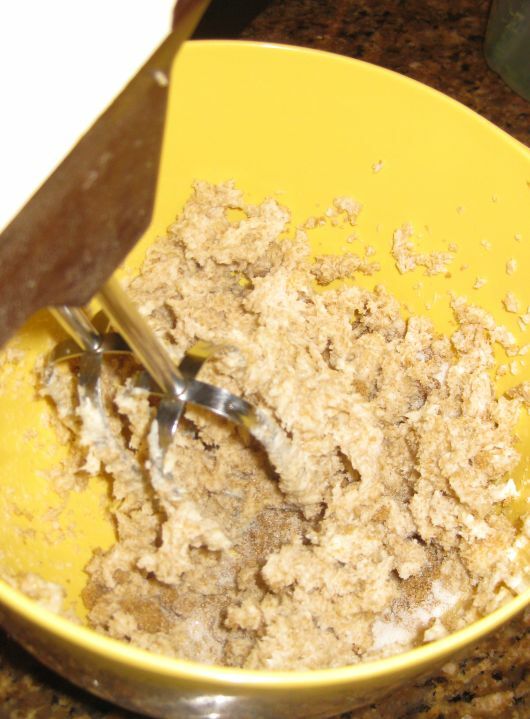 Molding the dough into balls. 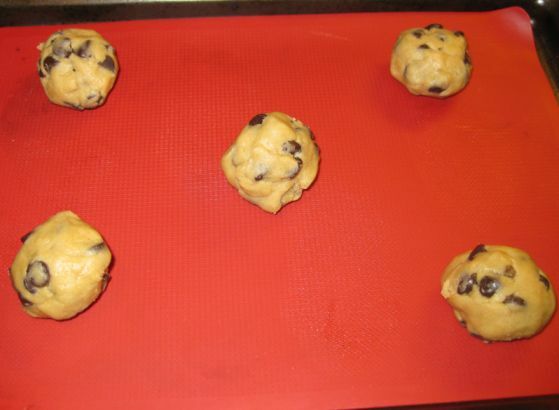 Oven is preheated at 350 degrees for about 10 minutes and then the cookies will go in the oven for about 12 minutes depending on each oven. 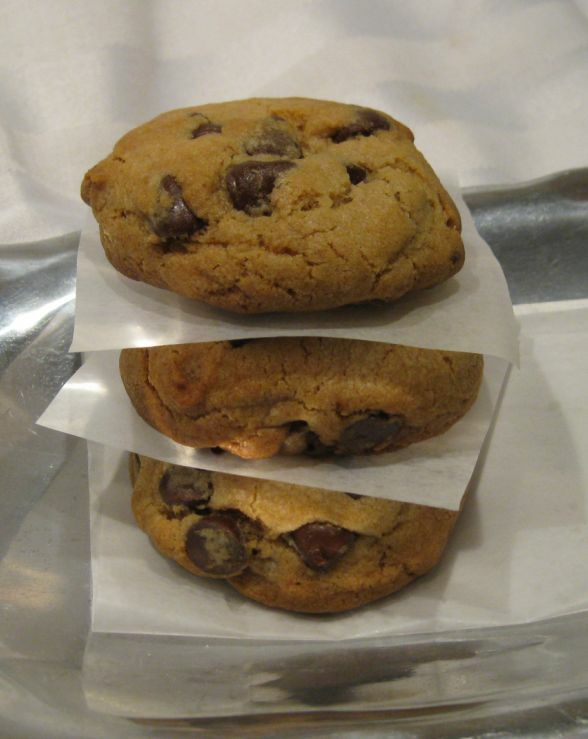 Freshly out of the oven! 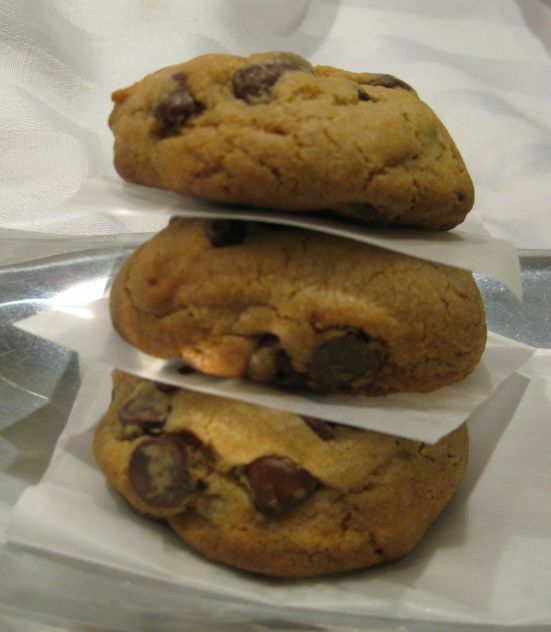 Let the cookie cool off for a few minutes and then they are so good when the cookies are still hot and the chocolate is still melting.